Flint-Stone coating transforms dated kitchen countertops and vanities with the look of stone. It's unique properties mimics stone but without the cost of replacement. 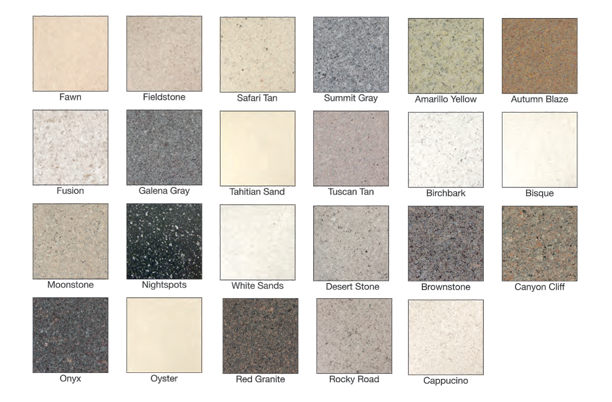 Flint-Stone is available in a variety of colors, meaning almost any decor can be matched with a Flint-Stone countertop. Interested in Becoming Our Newest Client? Get in touch with us to learn more about our commercial bathtub and bathroom restoration services, request a free quote, and discover how Creative Refinishing Unlimited can revitalize your hotel’s bathrooms!